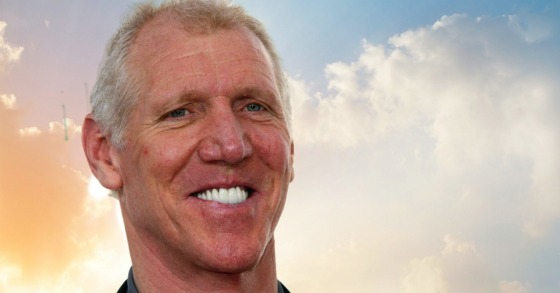 I recently finished Bill Walton’s autobiography and thoroughly enjoyed it. Talk about someone who has had a zest for life and embodies perseverance. That is one of the great benefits I get out of reading about other people’s lives. I can learn how they handled adversity and use it to inspire me when I’m faced with challenging situations. Someone will have always had it harder in life and it’s good to be reminded of this. Although the focus of this blog is on Bill Walton and to show his incredible perseverance, I also finished another very interesting autobiography of John Perry Barlow who made his mark in many ways, one of which was being the lyricist for Bob Weir of the Grateful Dead and helping him write some of his best songs. He met a down and out veteran on the road who was homeless and this is the passage about their encounter that really stuck out for me and has great application to Bill Walton and the rest of us. You will come to see that Walton’s curriculum was Astrophysics 406. Before getting into his incredible medical challenges I thought I would share what Walton wrote about how John Wooden ultimately persuaded him to come to UCLA. It was Wooden’s honesty, high expectations, and absolute certainty that one cannot attain great success and champion status without extraordinary teammates that swayed Walton to UCLA. What Wooden said to Walton has so much application to business as well and something I have experienced at CWS. We have built a terrific platform that can attract and retain the best and the brightest. It also becomes somewhat self-selecting as it tends to attract people who want to work with highly competent and quality people which perpetuates the power of the team and platform. We absolutely cannot do it alone and it is much more fun and rewarding to share the journey with others. If one wants to attain a high degree of success then it is vitally important that we be able to be honest with ourselves when we fall short and do the same for others in order to help them improve and hold them accountable. Walton pulls no punches when it comes to others, but he holds himself to an even higher standard. Walton absolutely loved Larry Bird and said he was the best player he ever played with or against, bar none. This is what Walton had to say about Bird to show what a great person he was and then you will see how incredibly honest he was. Larry Bird was a most remarkable player. I have never seen a player—any player—inspire the home crowd the way he did. He was an even better person, who always seemed to know everything about everybody on the team. I never knew how he knew, but whenever anybody was having trouble—marital, financial, personal, a sick child or relative, whatever—Larry knew. And then he would quietly go to Red, and Red would always fix everything, without ever saying a word to anybody. Nobody ever knew a thing about it—except the person whom Larry and Red would help. And as great of a guy as Bird could be he also pulled no punches, especially when it came to Walton, and this is one of the reasons why Walton respected Bird so highly. I was the reason we lost. Larry wanted to know why we even bothered having me on the team. He was right. He always was. It was about this time when Larry would get so mad when I wasn’t able to get it done out there he would demand of K. C., “Coach, you can either take Walton out of the game or me. It’s your choice.” K. C. was a brilliant decision maker. At one time the great Moses Malone was on the Portland Trail Blazers but he was ultimately traded. Walton said in hindsight this was a mistake. And while Robin was a solid player and a good dude, Moses went on to be a three-time NBA MVP, the lead player on a truly great NBA Championship team, and one of the 50 Greatest Players in NBA History. In retrospect, the Blazers should have traded me. I also like how Walton’s honesty sees people for what they are and how in some ways he looks upon their flaws as assets if they add to their competitive fire. This is what he said about Chicago Bulls center Artis Gilmore. What really made Artis so tough, though, was that he had no comprehension that there were rules, and not just for basketball—rules like three seconds, double dribble, traveling, and offensive fouls—but for human decency as well. Now let’s turn to Walton’s unbelievably arduous physical journey that led to over 30 operations, incapacitation, and ultimately considering suicide. Fortunately, as the title of his book conveys, he came back from the dead. It also refers to his extraordinary love for the Grateful Dead, a band in which he says he saw live over 800 times and became good friends with the members and who helped him through his darkest days. I had lived with foot pain my whole life. My feet ached all the time. That’s the way I thought it was for everybody who played ball. But this was different. It felt like somebody was stabbing me in the foot with a sharp, hot knife, and the more I tried to work it all out or to play on it, the worse it got. It felt like somebody was holding a blowtorch to my foot and ankle. It was late 1974, and things would never be the same again. I missed a majority of the rest of the season, although I did come back intermittently and try to play. I was only able to play in thirty-five of the eighty-two games my rookie year. And nobody was happy about any of it, least of all me. In retrospect, I had a stress fracture in my foot, the first of an endless string that would plague me the rest of my basketball career and life. It was awful, and I was stuck. I had gone from the top to the bottom. I went from living on $128 a month for nine months a year at UCLA to being the highest-paid NBA player ever, yet the quality of my life had gone down. I was miserable. And when things started looking up, it turns out it was just a pause on the downhill physical journey. And when it seemed as if things couldn’t get any better, on January 14, 1978, the clouds over Portland parted and our second son, Nathan, was born like an unfolding flower, glistening in the morning dew—a flower that has continued an eternal bloom, and shows no signs of ever wilting. Thirty years after our run, Jack Ramsay was asked to put the team into historical perspective. He succinctly replied: “I like our team. And we’ll take our chances. Anytime. Anywhere. Against anybody.” Then, in late February, when Philadelphia rolled back into Portland on their “We Owe You One” tour, in a game that was essentially decided with the opening tip, I was running back down the court on defense and suddenly, unexpectedly, inexplicably felt a deep burning pain in my foot. And things were never the same again. Ever. Finally, Walton had some answers. Later, I’m told, the hospital called the doctor up and said that their radiologists had read the X-rays and that there were terrible problems here, and if the doctor did not bring me right back in, they were going to go and get me themselves. The navicular bone in my foot had split in half. I stayed with Dr. Daly for the rest of his life. He would go on to perform more than two dozen orthopedic surgeries on my feet and ankles over the next couple of decades. I finally finished. Drenched. Hot as can be, but cool inside. And I closed the gym down. I took the short walk across the backyard over to the main house. Halfway there, I had to stop. I had to go down to my hands and knees. I could no longer walk. I had ground the bones in my foot and ankle down to dust. The tibia was no longer on top of the talus. It had slid off the back. I crawled across the ground the rest of the way into the house and to the telephone. I called my friend. I asked him to please come over to my house and find my crutches. I was no longer able to walk. I generally had three to five foot and ankle surgeries a year, every year. I never successfully finished a single season without having to have more surgery, starting the vicious cycle over and over and over again. And now for the worst of it: A spinal collapse, something I had never heard of. More than thirteen hours later, when we landed in San Diego, I could no longer move. I went to the ground and couldn’t get up. My spine had collapsed and failed. I’m told that the surgery took eight and a half hours, and that there were four incisions—one on my side and three on my back. Walton was able to gain strength from his family and wide network of friends and from those who he believed had it much worse than he did. This is what he said about his former UCLA teammate Greg Lee. Today, sixteen years after this tragic turn of events for Greg, he is completely disabled, he is in and out of the hospital constantly, he has had endless surgeries, he hasn’t been able to work or drive for years, he has to take massive amounts of daily medication just to stay alive, and his entire life has fallen apart. Other than that, he’s fine. The fact that Greg is even alive is a miracle in and of itself. And he was coming over to cheer me up. Walton also needed to hear some powerful advice from one of his doctors and it had nothing to do with medicine. At the end of the day, Walton has come through some devastatingly dark and painful periods that reinforced that his soul was given a curriculum of Astrophysics 506. For whatever reason, he was dealt this very difficult hand and has been able to come out the other side with even more gratitude and joy that he has ever had. 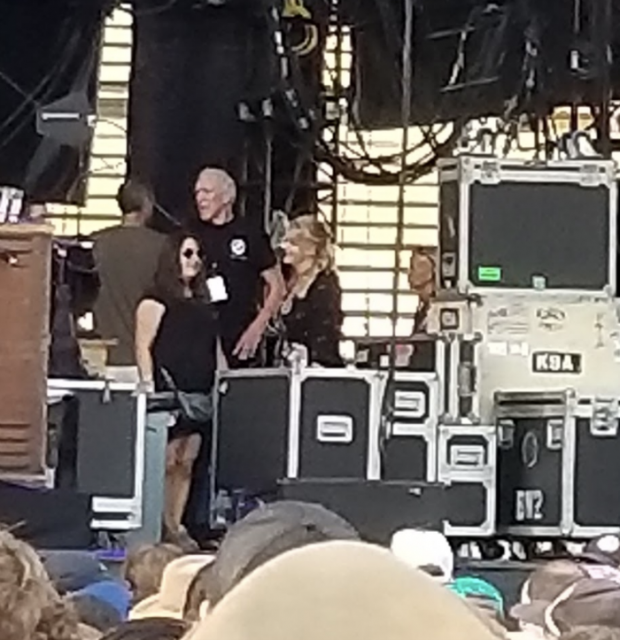 I was particularly pleased to catch a glimpse of Bill Walton standing on the side of the stage before the recent Dead and Company show at Dodger Stadium. He is quite the inspiration such that whenever I have to contend with something I would rather not I think about what he went through, how he dealt with it head on and with a great attitude and was able to retain his zest for life and joyful way of being.